For all you tall, gorgeous drinks of water. It's what makes you beautiful and unique. You can pull off any outfit with the right confidence and posture. 2. Start with foundational basics that fit. Both Long Tall Sally and Taller Than Your Average carry simple tees, camis and bodysuits that make great foundational garments. It helps give a sense of cohesiveness to your outfit. 4. For skirts that are an awkward midi length, wear them higher on your waist. This can also help balance your proportions. "It may not look like it will work but you will be surprised at the options that will," says Alicia of TallSwag. "You will have some misses, but the makes are worth the trials. Try, try and try again." 6. To make pants that are too short seem intentional, make a small cuff and add a strappy heel. 7. To give your body balance, add a belt to your natural waist. 8. Follow the three inch rule for heels. What's that, you ask? "For tall girls or anyone with large feet, adding a higher heel — and therefore heightening your foot’s proportion – will eliminate some of the length and get rid of what I like to call the Ronald McDonald shoe effect," explains Bergdorf's blog. 9. For a maxi that isn't quite ~long enough~ on you to be maxi length, tie both sides to make a cute no-sew midi. 10. Find a good tailor. Because you're going to want to have the hems of pants taken down. Pants often have extra material at the hem that can be used to add length. Another trick? Use similar fabric or complimentary fabric on the bottom of pants. These patterned pants have black material sewn onto the bottom for extra length. "Never, EVER let anyone or anything put your style in a box. 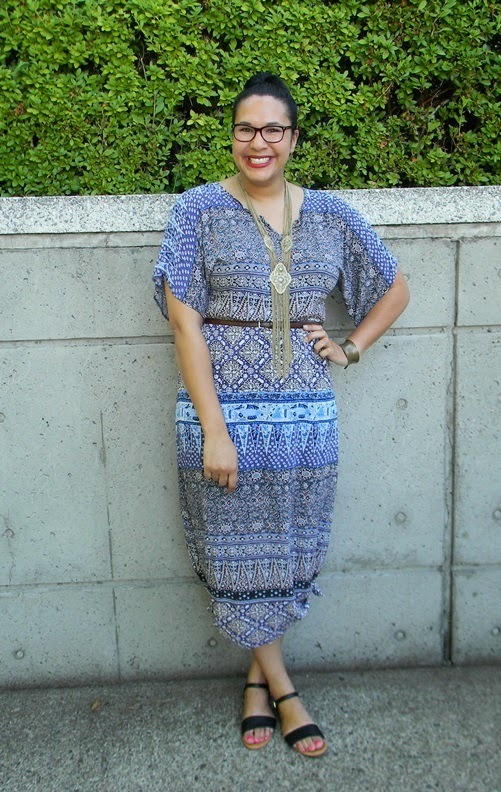 When you give your style parameters, you give yourself borders too," says Alicia of TallSwag. "No matter what advice you get, know that your style voice is the best and strongest. Wear what you feel best in. There is nothing you could put on that will look better than confidence." 12. Don't shy away from prints and patterns. "We have long, beautiful bodies that are an amazing palate for prints," says Alicia. "Don’t shy away from them because you think they will increase the attention that we already get for being tall. Like Harry Winston said, 'People will stare. Make it worth their while.'" 13. If you're tall with broad shoulders, try wearing clothes that balance out the top and bottom of your body. This will make shopping so much easier. 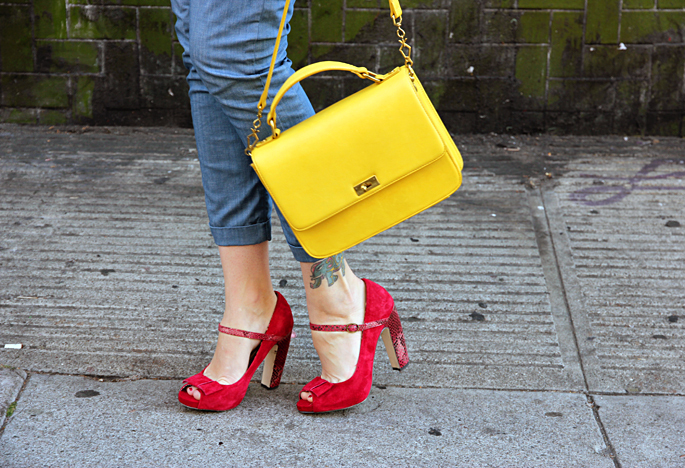 Blogger Dressing Stevie has a great guide on exactly how to get the best measurements. 15. And the measurements of the models! Sometimes models aren't actually as tall as you might think, so if you're shopping online it's worth paying attention to the model's height, too. Tall ladies look especially great in jumpsuits. To create balance, you might want to try one that has a lower neckline, to provide a counterweight to your long legs. 17. Embrace the three-quarter sleeve. Finding long sleeve shirts that are actually ~long~ enough can often be difficult, which is why 3/4-length shirts can offer a great alternative. "This is a sleeve length that is universal for everyone and is actually more flattering on us because our limbs are longer and are accentuated by the length of the sleeve," says Alicia of TallSWAG. "I also love making a faux ¾ sleeve. Roll those puppies up! It takes vintage shopping to another level." 18. Steer clear of super low rise jeans. Super low-waisted jeans often don't have enough rise to properly fit and flatter a tall girl. 19. Shop tall brands and collections! This is a no-brainer, but many, many companies now offer specific tall collections, including Asos, Gap, The Limited, and Alloy. You should also check out tall girl-specific stylers like Height Goddess and Long Tall Sally. 20. Or have clothes custom-made. Sumissura is an online made-to-order service that will create garments for you based on your measurements and fabric choices. And you can do it all from home! 21. And avoid the dryer at all costs. It's all too easy to shrink things into oblivion if you're not careful, and there's nothing worse than throwing down money on good tall girl clothes only to accidentally make them too short or small.